Yom Hatorah this year is on Sunday July 15th, 2018 after shacharit. Join the kahal in a full day of meaningful lectures given by rabbanim from the city. 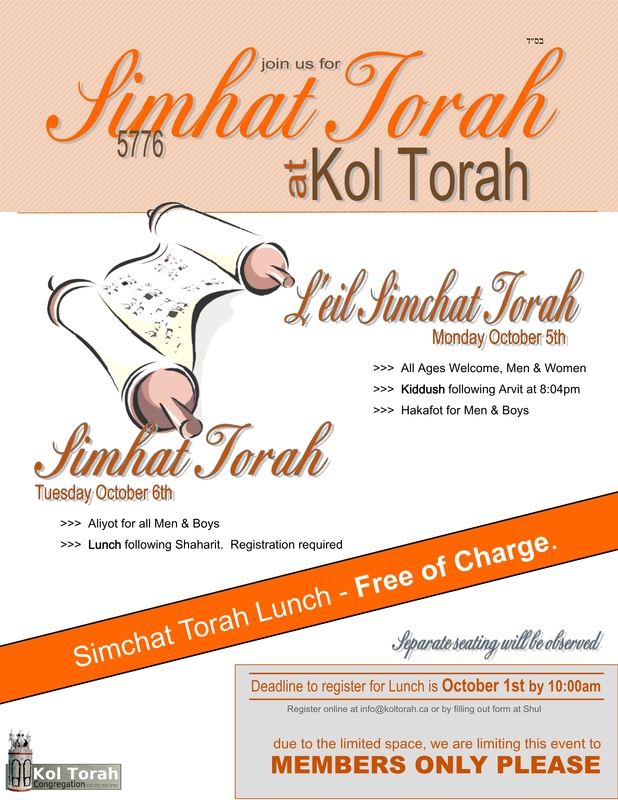 If you would like to sponsor Kiddush or Lunch, please speak with Mr. Berdugo directly or send an email to info@koltorah.ca. 1. Respond by clicking on the GREEN BUTTON below and include how many people will be joining, including their GENDER.